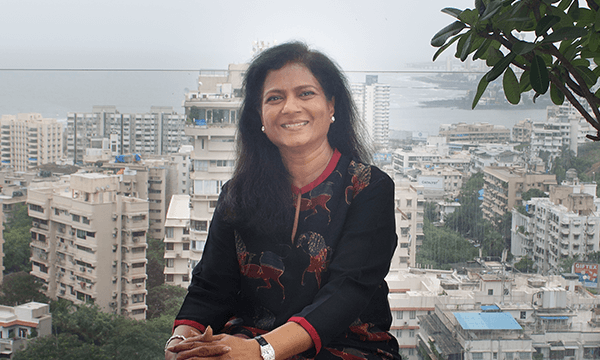 Sushma Jain has been passionate about art from her childhood and has pursued it with ardent fervour over the years. Essentially a self-taught artist, she has completed several formal art courses that have given her a solid foundation to build upon her natural talent and skills. She completed the Foundation course at the Indian Art Institute, the Art Teacher’s Diploma at JJ School of Art, and took courses at the Central Saint Martin School of Art and Design in London. On this artistic journey, Sushma has been staunchly supported by her family, especially by her father in her childhood years and her husband after marriage. This has enabled her to grow from strength to strength and experiment with her artmaking to work on diverse subjects and themes over the years. Despite taking breaks from her art for various family reasons, Sushma always returned to her passion with renewed commitment and spirit. This persistence has enriched her art and she has emerged happier, stronger and inspired from life’s multifarious twists and turns. Her art is a reflection of her personality, her warmth and sensitivity, and is fuelled by her deep love for her family and close friends. Sushma finds inspiration in nature and renders her subjects realistically, and has come to specialise in portraiture, human forms, landscapes and wildlife. Apart from oils on canvas, she has extensively experimented with various media such as charcoal, crayons and watercolours. 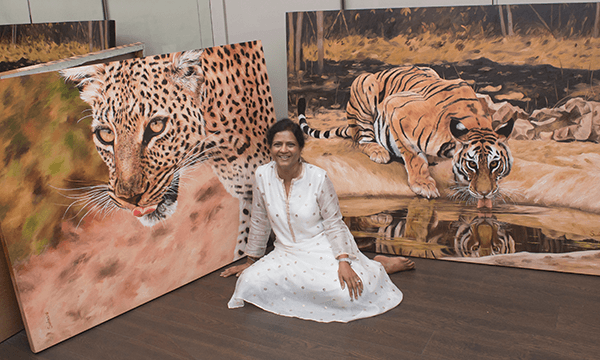 In her first solo art exhibition at the Jehangir Art Gallery of Mumbai, a combination of her wildlife and landscape artworks are featured. Her passion for animals and photography, led her across the world to several national parks and forests to shoot animals in the wild. She has taken numerous photographs that capture wild life in their natural habitat, while her landscape paintings are picturesque and inspired from her travels, capturing the essence of their charm and splendour. 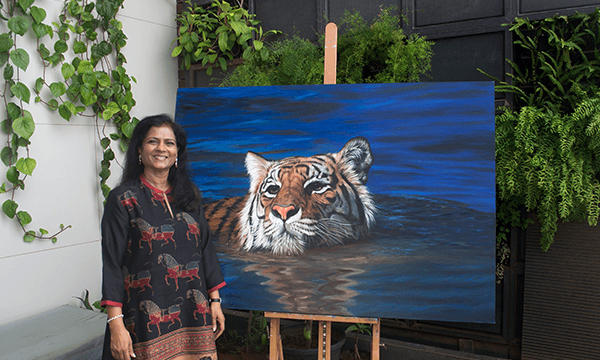 For Sushma, exhibiting her paintings is a dream come true! On her 60th birthday, the series of art shows are a celebration of a milestone in more ways than one – it is a culmination of her efforts over the years and marks the beginning of a new and exciting phase in her artistic journey. Sushma has two children and three grandchildren and lives in Mumbai with her family. She is an ardent singer and remains passionate about her four canine friends at her farmhouse.